An online master’s degree prepares students for licensure as a pastoral mental health counselor. Those who wish to become a licensed pastoral counselor have to start by getting a bachelor’s degree in behavioral, social science, or psychology, which sets the groundwork for graduate studies in counseling. The next step is to earn a master’s degree in counseling or marriage and family therapy from an accredited university. There are many online schools that offer affordable and accredited programs for students who wish to gain an advanced degree as they continue to work. Students have to complete an internship experience that leads to the required certification or licensure for practice. These internships also give them the hands-on experiences they need to excel in their roles of a pastoral counselor. Then they have to pass any required counseling exams for licensure. These may vary by states, though most pastoral counselors earn a certification through the American Association of Pastoral Counselors. Graduates can also opt for additional or therapy certifications. In this article, we have reviewed the 25 colleges that offer affordable and distinctive pastoral counseling programs. All programs considered are 100% online and accredited. The rankings are based on tuition and affordability. Amridge University offers an online Master of Divinity in Professional Counseling that prepares students to offer counseling services in a theological context. The 96-credit online program includes courses like critical introduction to the new testament; spiritual leadership; critical introduction the old testament; theories of counseling and psychotherapy; community and social systems; human development; theories of personality development; human sexual development; marriage and family development; counseling for abusive relationships; social and multicultural diversity; advanced therapy; ethics and professional identity; group counseling; lifestyle and career development; interpersonal and family dynamics; social and multicultural diversity; and assessment of individuals and families. Graduates are prepared to pursue licensure as a Licensed Marriage and Family Therapist, a Licensed Professional Counselor in their home state or dual licensure. 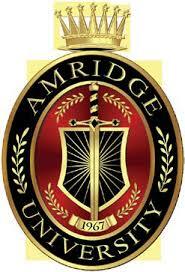 Amridge is ranked by major publications like U.S. News and World Report as the 106th best regional university in the South. 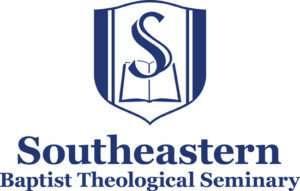 Southeastern Baptist Theological Seminary offers an online Master of Divinity in Biblical Counseling that prepares graduates for successful careers in pastoral counseling. They go on to apply their specialized counseling skills and pastoral care in family ministries and secular settings as well. The 88-credit online program includes courses like marital and premarital counseling; counseling individuals with problematic emotions; counseling and the church; counseling theory; counseling parents and children; cross-cultural counseling; counseling individuals with addiction problems; and mentored counseling internship. The online program can be completed in 3-4 years and helps graduates prepare for state licensure if they wish to pursue that at a later stage. It is regionally accredited by the Southern Association of Colleges and Schools and the Commission on Accrediting of the Association of Theological Schools. Loyola University offers an online master’s in Pastoral Counseling that prepares students to work as pastoral clinicians and provide therapeutic pastoral counseling services in faith-based contexts. The 60-credit online program includes courses like the fundamentals of pastoral counseling, addictions, and modes of therapy, models of pastoral counseling, human relation skills, and theology of the developing person. The online program meets the licensure requirements of the state of Illinois and prepares students to meet the requirements of other states though some rules may differ. The institution is a top-ranked and accredited school. U.S. News and World Report ranks Loyola as the 103rd top national university and 58th best value school. Students can opt for the accelerated format and complete the online course in half the time. Mid-America Christian University offers an Online Master of Science in Counseling with an emphasis on Pastoral and Spiritual Direction. The 63-credit online degree includes courses like psychopathology; theories of counseling and psychotherapy; advanced principles and techniques of pastoral counseling; spiritual direction and spiritual formation; interpersonal communication in counseling and relationships; individual counseling and psychotherapy techniques; marriage and family systems and treatment; human development; marital and family treatment techniques; research methods; prayer, spirituality, and ministry; multicultural treatment planning for individuals and families; ethics and professional studies; and assessment of individuals and families in counseling. A Christian faith-based viewpoint is incorporated within a broad-based education to prepare students for pastoral care and counseling. The school is accredited and has earned recognition from several major publications like U.S. News and World Report as a top regional university in the West. 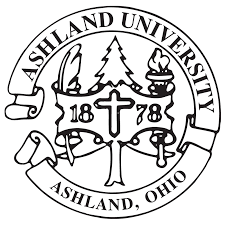 Ashland University offers an online Master of Arts in Clinical Mental Health Counseling via the Ashland Theological Seminary. The CACREP accredited online program is flexible and 100% online in its cohort that prepares students for professional licensure. The 64-credit program includes courses like introduction to clinical mental health counseling; spiritual themes in clinical counseling; human growth and development; professional ethics and responsibilities; social and cultural issues in counseling; personality assessment; spiritual formation core; crisis counseling; story of the Christian faith; leading the people of God; Christian ethics; worship and the community of God; well being in ministry; along with pastoral counseling and care. It is regionally accredited by the Higher Learning Commission. The Colorado Christian University offers an online master’s degree in pastoral counseling or individuals seeking careers as counselors or pastoral counselors. The CACREP-accredited is available 100% online and prepares graduates to seek licensure as a counselor. The 60-credit online program includes courses like a counseling core, Bible and theology, along with nine hours of a practicum or internship. The courses are taught by qualified professors with extensive academic and clinical background experience. Students are challenged to explore how theory and faith can be integrated as a professional clinician through classes and hands-on field experiences. Colorado Christian is ranked by major publications like U.S. News and World Report as a top regional university in the West. The Aquinas Institute of Theology offers an online Master’s in Pastoral Ministry for individuals seeking pastoral counseling careers. The 48-credit online program includes courses like foundations of pastoral care, foundations of the morality of Catholic social teaching, and theology of worship and sacraments among others. Students also have to complete a four-month intensive internship in the supervised practice of ministry along with their academic theology and ministry subjects. It gives them a foundation in a theological, spiritual and ministerial formation that help them to counsel others in accordance with the unique needs of the local Church. The online degree program is offered in collaboration with the Archdiocese of Oklahoma City. Dallas Baptist University offers an online Master of Arts in Christian Counseling that prepares graduates to practice counseling in churches along with other non-secular settings. The 100% online program provides a flexible, hybrid schedule that makes it easy for working adults to pursue a master’s degree in their area of interest. The 36-credit hour program includes courses like introduction to Christian counseling; biblical servant leadership; Christian history and heritage; spiritual formation and worship; counseling theories and techniques; abnormal psychology; lifespan human development; conflict resolution in ministry; Christian counseling skills; group counseling methods; marriage and family counseling; a Christian approach to human sexuality; counseling victims of trauma; biblical foundations and models for small group ministry; and victim assistance ministry training. This low-cost, non-licensure online degree program is designed to prepare students to serve their communities as ministers, pastors, non-profit organization leaders among other roles. Dallas Baptist is accredited and ranked with major publications like U.S. News and World Report. Dallas Baptist is accredited and highly-ranked institution. The Houston Baptist University offers an online master’s degree in pastoral counseling that offers several areas of specialization. It teaches students to integrate their personal values and faith in counseling work as they develop research-supported counseling skills. The 60-credit online program includes courses like addiction and recovery, human sexuality, crisis response, marriage, and family, along with professional life coaching. The institution is accredited by the Southern Association of Colleges and Schools Commission on Colleges. 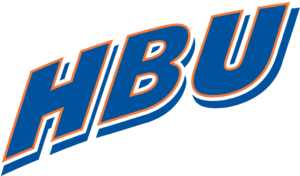 Houston Baptist is ranked by major publications like U.S. News and World Report as the 70th best regional university in the West. Fordham University offers an online Master of Arts in Pastoral Care that prepares graduates to provide pastoral counseling through ministry work. The affordable 36 credit online program trains them to support people through challenging times. It is designed for students and professionals who are interested in ministry work in a variety of roles. By integrating counseling theory and theology they can help people in need and distress, especially the at-risk population. Upon the completion of the online degree program, students gain essential pastoral counseling skills that make them competent pastoral caregivers. Courses include human growth and development, professional ethics in pastoral counseling, pastoral counseling theory, social and cultural foundations of pastoral counseling, along with theology of pastoral counseling and spiritual care. The online degree program also prepares students for certification in chaplaincy from the National Association of Catholic Chaplains or the Association of Professional Chaplains. Fordham is ranked with U.S. News and World Report as the 61st best national university in the country. 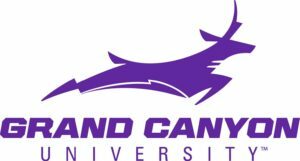 Grand Canyon University offers an online Master Of Science In Clinical Mental Health Counseling With An Emphasis In Christian Counseling. The highly affordable online degree program is offered by the College of Humanities and Social Sciences and is popular among students who wish to become pastoral counselors. The 74-credit online program includes courses like counseling theories, counseling skills in the helping relationships, human growth and development, marriage and family therapy, social and cultural diversity issues in counseling, introduction to graduate studies in the health sciences, and tests and appraisal in counsel. The program is accredited and 100% online, which is a boon for working adults. Grand Canyon University has received recognition in recent years from major publications like U.S. News and World Report as a top national university. 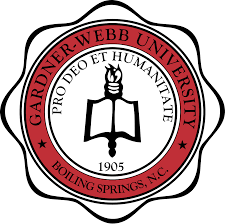 Gardner-Webb University offers an online Master of Divinity/Master of Arts in Mental Health Counseling that prepares students to help individuals by combining psychology and theology. The 90-credit online program includes courses like crisis intervention theories; ministry as lifelong learning – pastoral care and counseling; issues in advanced pastoral care and counseling; interpersonal relationships and family systems theory; and clinical aspects of care. Students can opt for the dual master’s program where the coursework is evenly distributed between 60 credits in the School of Divinity and 60 credits in the School of Psychology and Counseling. They also have the option to earn their degree in just one of these two options. Both online degree programs help them to successfully integrate theology, faith, spirituality, and counseling theory. The university is regionally accredited by the Southern Association of Colleges and Schools. Regent University offers an online master’s in Pastoral Counseling that is considered one of the most affordable pastoral counseling degree programs or working adults. The 33 credit online program includes courses like addictive behavior and substance abuse, marriage and relationship counseling, helping skills and techniques, counseling skills and techniques, issues in pastoral counseling, along with pastoral care – counseling and conflict. The 100% online program prepares graduates to be an effective counselor in Christian as well as secular settings. 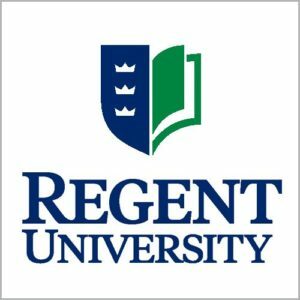 Regent is ranked among some of the best national universities in the country, according to U.S. News and World Report. 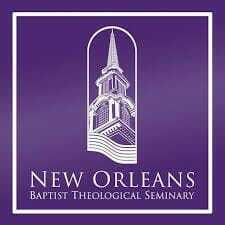 New Orleans Baptist Theological Seminary offers an online Master of Divinity with a number of specializations for students to tailor their degree. 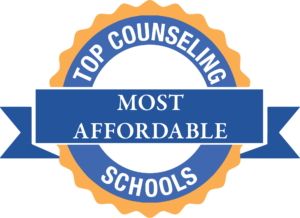 The Counseling/Non-Licensure Track consists of 87 credits while the Marriage and Family Counseling Track consists of 101-102 credits. The core courses include titles like Biblical exposition; disciple-making; Christian theological heritage; interpersonal skills; spiritual and character formation; worship leadership; servant leadership; and electives. The online program combines the basics of psychology and theology with practical skills needed for the 21st century. It is regionally accredited by the Southern Association of Colleges and Schools and the Commission on Accrediting of the Association of Theological Schools. 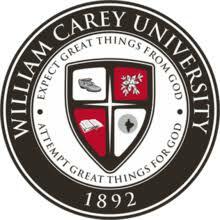 William Carey University offers an Online Master of Science in Christian Counseling that prepares students for successful careers in pastoral counseling. The master’s degree online is available to students in two different formats. They can opt for the 60-credit licensure track if they plan to pursue professional licensure. If they wish to become ministers then they do not need to meet any licensure requirements. In this case, they can opt for the 36-credit online program for ordained ministers. For both tracks, they need to complete the core courses, a practicum, and an internship. They can also choose from the several electives in counseling that match with their area of professional goals. The main courses include titles like advanced developmental psychology; psychological aspects of aging; multicultural counseling; orientation to professional counseling; psychopathology; lifestyle and career development; principles of Christian counseling; marriage and family counseling; techniques of group counseling; crisis counseling; psychology of religion; along with counseling skill and techniques. They are regionally accredited by the Southern Association of Colleges and Schools. Faith Evangelical College & Seminary offers an online Master of Arts in Christian Counseling that covers diverse issues related to the profession of counseling. The broad and inclusive Christian Counseling education online prepares students to pursue professional careers in Christian-based counseling in hospitals, community mental health clinics, churches as well as private practices. The affordable 72 credit online program includes courses like foundations of biblical counseling; essential doctrines of Christian counseling; introduction to crisis intervention; introduction to pastoral counseling; introduction to marriage and family counseling; cross-cultural counseling; human growth and development; domestic violence and anger management; group counseling; addictions and substance abuse; legal and ethical issues in counseling; psychopathology; and assessment and diagnosis. Depending on states rules, graduates may be eligible to pursue state licensure. 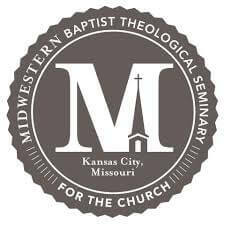 Midwestern Baptist Theological Seminary offers an online master’s in theological studies with an emphasis in counseling that prepares students for successful pastoral counseling careers. The 45-credit online program includes courses like counseling theories, marriage and family counseling, diagnosis and treatment of addiction disorders, and the helping relationship. Students also have to take several Bible history and theology classes. Classes are 100% online and taught by the same professors who teach on campus. This is considered to be one of the most affordable and popular courses for students who are seeking a counseling degree online with a theological core. The program and school are accredited by the Higher Learning Commission and the Commission on Accrediting of the Association of Theological Schools. Liberty University offers an online Master of Arts in Pastoral Counseling – Theology that prepares ministry professionals and church leaders to practice biblical counseling roles. The 36-credit online program combines psychology and the Christian philosophy to help individuals practice in Christian ministries and agency-based, non-licensure settings. The courseware includes an introduction to pastoral counseling; theology and spirituality in counseling; integration of psychology and theology; premarital and marital counseling; along with crisis intervention and pastoral counseling. The online degree program teaches them to balance spiritual and mental health and integrate counseling theory and theology to help people in distress. In their Christian Counseling roles, students learn to offer support in areas of marriage and premarital problems, grief and loss, and various life challenges. 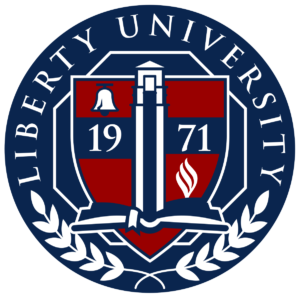 Liberty University is accredited by SACSCOC. Maple Springs Baptist Bible College and Seminary offers an online Master of Arts in Christian Counseling that prepare graduates to successfully integrate theories of psychology and theological values to help people. The counseling theories and skills that students learn in this program teaches them to support the emotional and spiritual needs of people through ministry in the church setting. By doing so, students develop and excel in these areas. The 54-credit online program includes courses like principles of counseling; counseling the chemically dependent; counseling techniques and practices; counseling case studies; and Christian writing and research. Students have to complete a counseling practicum as well. 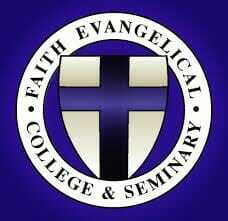 It is accredited by the Transnational Association of Christian Colleges and Schools. 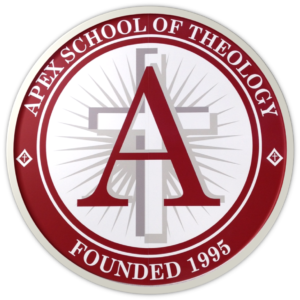 Apex School of Theology offers an online Master of Arts in Christian Counseling that train students to provide counseling services in the church and secular settings. 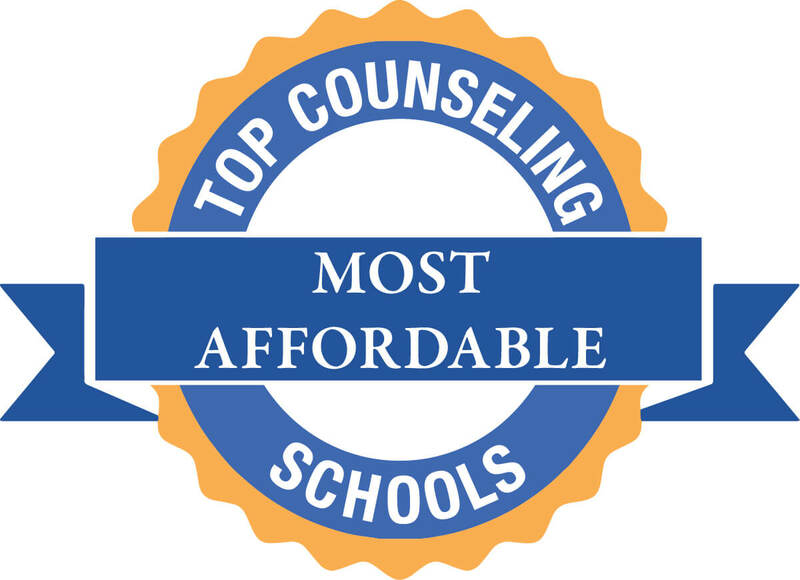 The affordable, 60-credit online program includes courses like foundations in theology; introduction to pastoral counseling; history of Christian thought; advanced developmental psychology; family systems therapy; theories of personality; counseling theories and techniques; individual and systems assessment; introduction to professional and ethical counseling; group dynamics in counseling; abnormal psychology along with pre-practicum and clinical practicum counseling skills. Students learn to work with individuals and families and help them with a multitude of issues. 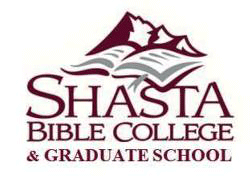 Shasta Bible College and Graduate School offers an affordable online Master of Arts in Biblical Counseling for students interested in pastoral care and counseling. The 39-credit online program includes courses like physiology for biblical counseling and family life education; the biblical counselor and family life educator; foundations of interpersonal relations and conflict resolution; courtship, marriage, and the family; marital and family counseling; theology of biblical counseling; counseling children, adolescents, and their families; premarital preparation and counseling, addictions; and self-confrontation for the biblical counselor and family life educator. Students integrate Christian perspectives with counseling theory to pursue ministry or ministry-related counseling online. 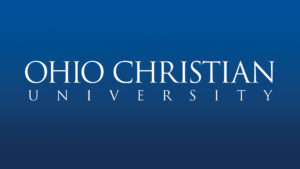 Ohio Christian University offers an online Master of Arts in Ministry with a concentration in Pastoral Care and Counseling for students interested in pastoral care and counseling. The 36-credit non-licensure track counseling degree online includes courses like methods of pastoral counseling; ethical and legal issues in pastoral counseling; spiritual issues in pastoral counseling; and pastoral intervention in the crisis. The highly affordable online program prepares graduates to pursue ministry careers with the additional counseling skill to help people in their times of crisis. The school is accredited by the Higher Learning Commission and the Association for Biblical Higher Education and also ranked by U.S. News and World Report as a top regional college in the Midwest. 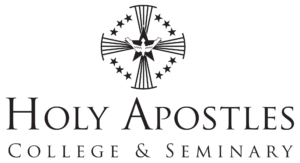 Holy Apostles College offers an affordable Master’s in Pastoral Studies Online with concentrations like pastoral care and counseling. The primary objective of the online program is to help students develop counseling skills in accordance with the Roman Catholic Church. The 36 semester-hour online program includes courses like fundamentals of practical theology, methods in teaching, pastoral care of marriage and family, intercultural competencies, and spiritual direction skills and practice. The highly affordable program is available 100% online. Holy Apostles is recognized by major publications like U.S. News and World Report and is accredited. It is one of the most affordable online schools on our list. Maranatha Baptist University offers an online Master’s in Biblical Counseling that prepares students for a career in full-time ministry and related counseling positions. The 33-semester hour online program includes courses like biblical counseling, counseling problems and procedures, counseling addictive behavior, crisis counseling, methods of biblical change, and theology, marriage and family counseling, and practice of pastoral counseling. The highly affordable online program is available 100% online. It combines the basics of psychology and theology to prepare graduates for successful careers in pastoral counseling. Maranatha is ranked by U.S. News and World Report as the 56th best regional college in the Midwest. Luther Rice University & Seminary offers an online Master of Arts in Biblical Counseling that trains students to work as church counselors or clinical counselors in other ministry settings. The 36 credit online program includes courses like introduction to psychology and counseling theories; introduction to the Old Testament; foundations of biblical counseling; spiritual formation; helping skills; marriage and family counseling; crisis counseling and pastoral care; methodology for biblical counseling; issues, ethics, and legal concerns for counselors; and biblical counseling practicum. The highly affordable online program is available 100% online and can be completed in 18-24 months. Some graduates have gone on to pursue careers as a youth and family pastors, chaplains in jail or prison, and other ministry roles. The school is accredited by the Commission on Accreditation of the Association for Biblical Higher Education.